requestIdleCallback is actually a bit too restrictive and is not executed often enough to implement smooth UI rendering, so React team had to implement their own version. If you rely only on the [built-in] call stack, it will keep doing work until the stack is empty…Wouldn’t it be great if we could interrupt the call stack at will and manipulate stack frames manually? That’s the purpose of React Fiber. Fiber is re-implementation of the stack, specialized for React components. You can think of a single fiber as a virtual stack frame. 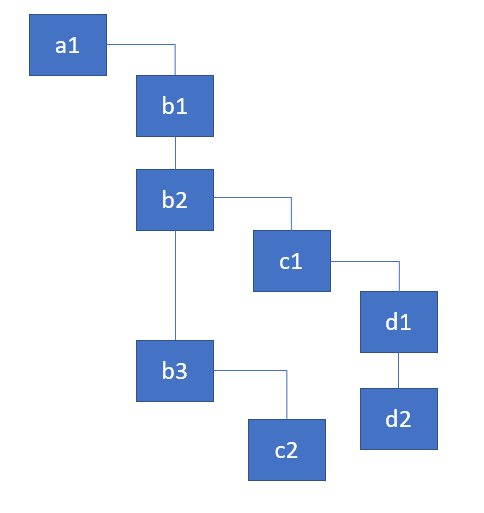 In computer science, a call stack is a stack data structure that stores information about the active subroutines of a computer program… the main reason for having call stack is to keep track of the point to which each active subroutine should return control when it finishes executing… A call stack is composed of stack frames… Each stack frame corresponds to a call to a subroutine which has not yet terminated with a return. 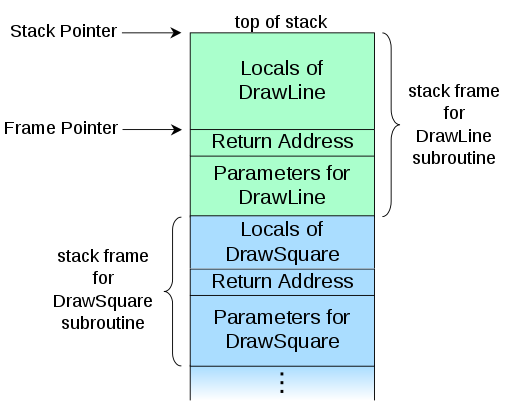 For example, if a subroutine named DrawLine is currently running, having been called by a subroutine DrawSquare, the top part of the call stack might be laid out like in the adjacent picture. 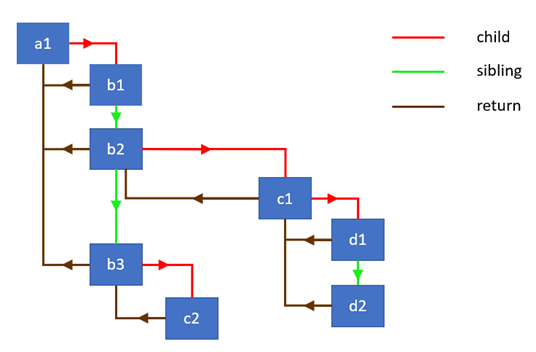 By default, when recursing on the children of a DOM node, React just iterates over both lists of children at the same time and generates a mutation whenever there’s a difference. Fiber is re-implementation of the stack, specialized for React components. You can think of a single fiber as a virtual stack frame.